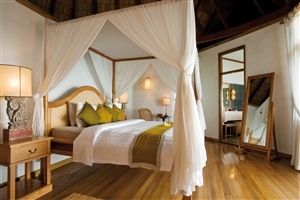 A classic honeymoon destination, the Coco Palm Dhuni Kolhu is a romantic retreat fit for a king and queen. 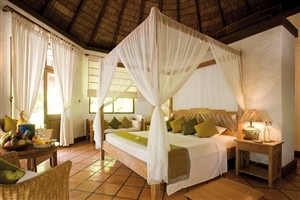 The 98 individual thatched villas give you a peaceful base with wonderful views across the Indian Ocean. 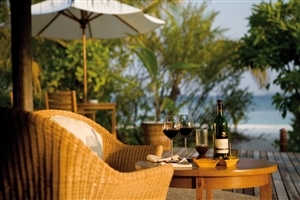 Spend your days under the beating sun as you enjoy the tranquil setting to unwind on the beach or your private terrace. The crystal clear waters are warm to swim in and there is plenty of marine life to explore off the coast as you go snorkelling or try scuba. Surrounded by sumptuous soft sands, the private island works towards sustainable tourism and the interior holds the character of a tropical paradise. There are two bars to keep you refreshed while the food is divine from either the buffet restaurant or the à la carte open-air dining with specialty dishes. 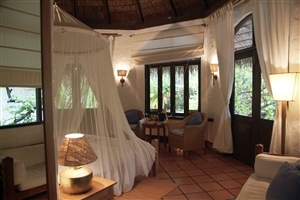 Perfect for a honeymoon or romantic escape, the elegant setting plays host to a wonderful resort. 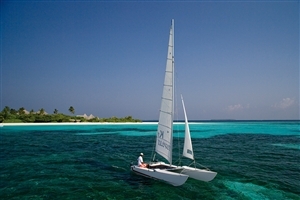 Whether you are enjoying the sun, exploring the house reefs or getting pampered in the spa, the Coco Palm Dhuni Kolhu is your dream Maldives holiday. 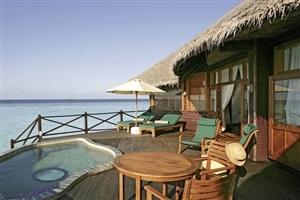 If you are looking for the perfect, luxury trip to the tropical paradise of the Maldives then the Coco Palm Dhuni Kolhu is where to go for a tranquil hideaway. An exquisite island with wonderful coral reefs, you can spend your day lounging in the sun, swimming in the Indian Ocean and relaxing on a private terrace. 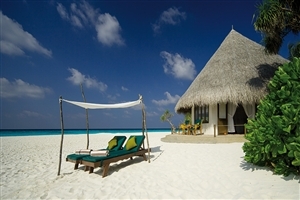 A natural resort that follows the sustainable tourism mantra of the country, the island is bordered by stunning white beaches with an interior complete with colourful flora and sand paths. Known as a honeymoon destination, the breathtaking individual villas, set in the palm trees or above the ocean, overlook the clear lagoon as you pop the champagne. There are 98 rooms, two bars and two restaurants in the resort as well as a tennis court, sports complex and water sports to keep you active. June through November sees whale sharks in the waters and each Wednesday there is an excursion with the resident marine biologist to go in search of manta rays that are found around the island throughout the year. Once you have returned from the warm waters, you can head to the Coco Spa and unwind fully with treatments inspired by techniques from India, Indonesia and Thailand. The eco-conscious Coco Palm Dhuni Kolhu is a real once in a lifetime experience where you can have a romantic, relaxing holiday. 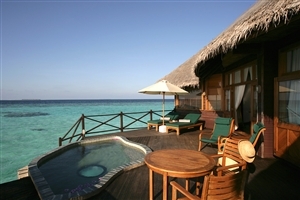 Located on the Northern end of Coco Palm Dhuni Kolhu are 9 Ocean Front Villas with the lagoon right at your doorstep. 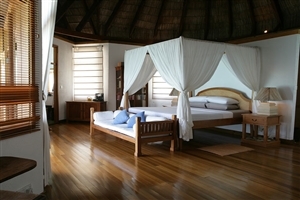 The high-pitched ceiling and king-sized bed in these villas are complimented by the traditional thatched roofs and open air garden bathrooms reflecting authentic Maldivian touches. The Ocean Front Villas do not have a beach in front however with this they benefit from spectacular views of the ocean to be enjoyed from your private terrace. 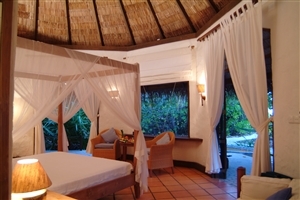 The Beach Villas offer 87sqm of accommodation space and are tucked into the lush foliage, overlooking the stunning white sand beach that surrounds the island. 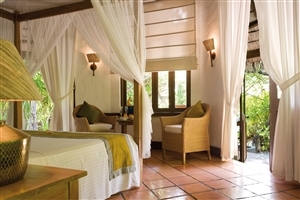 Graceful features include an open-air garden bathroom, a private terrace and a spacious king-size bedroom. 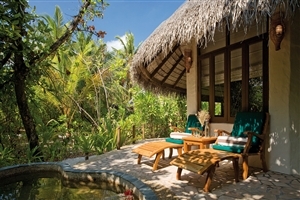 The Deluxe Villas offer 87sqm of accommodation space and are nestled into the lush island interior, making it ideal for those seeking privacy and tranquillity. Relax in luxury with the open-air bathroom, complete with a sunken bath, and a fresh-water plunge pool on the outdoor terrace. 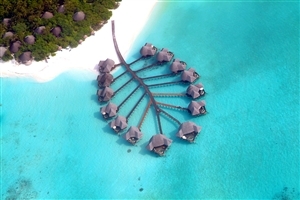 The Lagoon Villas at offer 87sqm of accommodation space and are located on stilts above the breathtakingly beautiful lagoon. 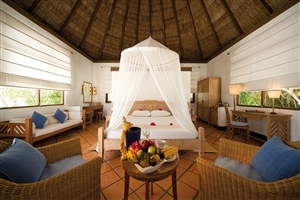 The romantic Lagoon Villas feature Jacuzzi bathrooms, sunken fresh-water splash pools, a large sun deck and elegant four-poster beds. 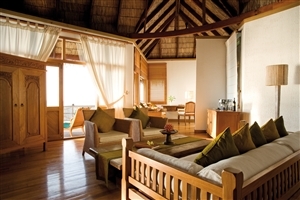 The Sunset Lagoon Villas at offer 154sqm of accommodation space and are considered the height of exclusivity. 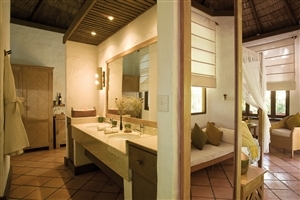 Indulge yourself with the offer of a designer living room, a romantic four-poster bed, ocean views from the lavish bathroom, indoor and outdoor showers, a private terrace equipped with a sunken fresh water splash pool and an incredible setting above the sparkling lagoon. On the private island, you get the choice of two restaurants (or in-villa dining) and two bars when it comes to food and drink. 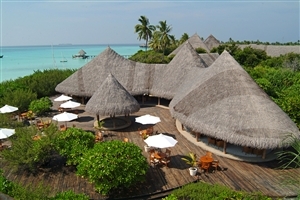 Cowrie Restaurant – An atmospheric area with a traditional Maldivian tent-like roof and live cooking spots are the highlights in this international buffet. 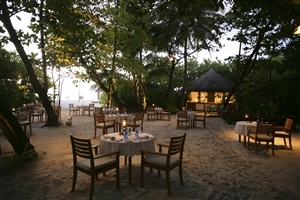 Cornus Restaurant – Wonderful views of the Indian Ocean are afforded from this spot that is tucked into the vegetation. 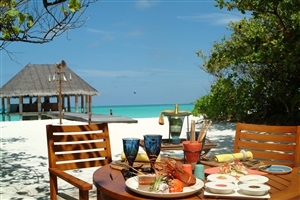 Try tastes of Maldivian and other Asian cuisines. 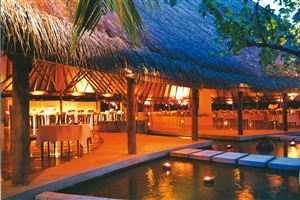 Conch Bar – A pavilion with sandy floors offer you a selection of drinks and snacks in a casual atmosphere. Beach Bar – Perfect for a sunset, find this in the middle of the western beach. 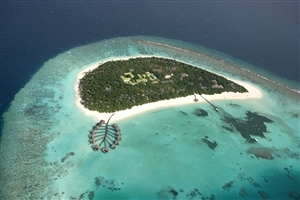 A private island with nothing but the sun, sea and sand for company, what more could you need? Well, there are a few things on offer.